It's UV-light sensitive super putty! This amazing bouncy/stretchy/silly material will turn from white to blue on a sunny day. Place an object on it and you will see a silhouette print! 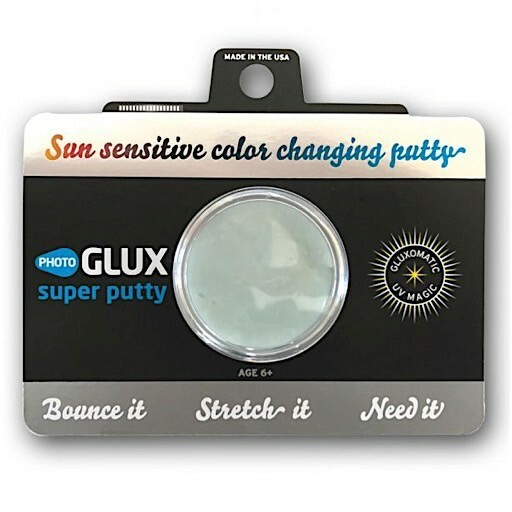 Plus it has all those classic putty skills, like bouncing and stretching. Recommended for ages 6 and up. Made in the USA. 1oz.